1. If you don't already have it, install VPN, which is required to access the Virtual Site from off-campus, as well as to access the download link in the next prerequisite. 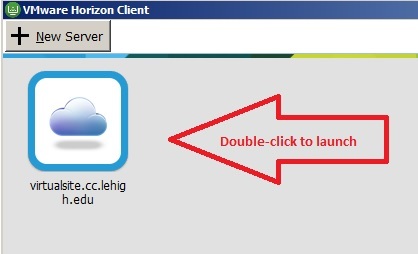 After you've met the above prerequisites, launch the VMware Horizon Client, double-click the Virtual Site icon, then log in with your Lehigh User ID and password. 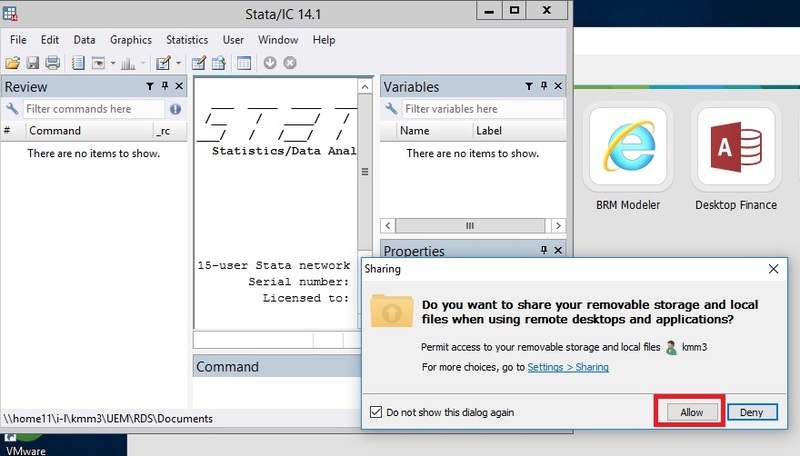 You will see Stata among several virtual site applications. If you see this prompt, Do you want to share your removable storage and local files when using remote desktops and applications?, click Allow. It's important to allow sharing of your local computer files and folders when working in a virtual environment. Default local file/folder locations refer to the virtual site itself, NOT your own computer! 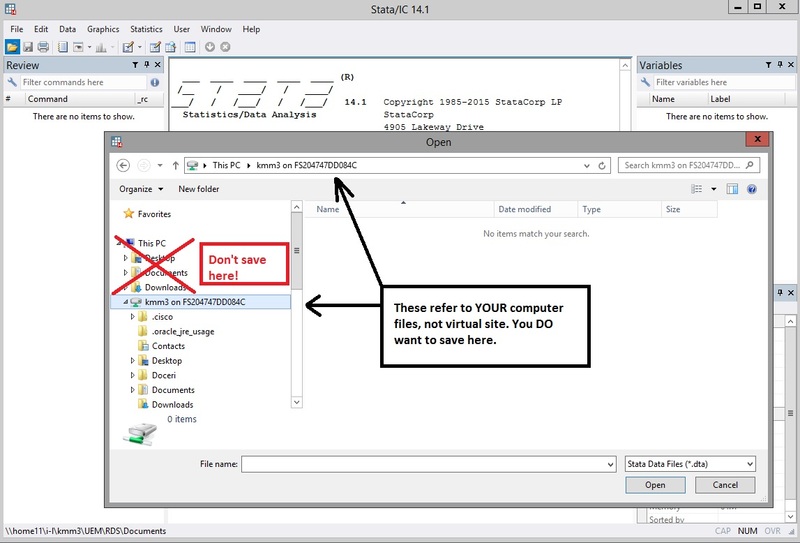 If you exit the virtual site with files saved to the default VS locations, YOU WILL LOSE YOUR WORK! If you don't get this prompt, follow the instructions in the next step to configure local sharing or to manually open the sharing settings. 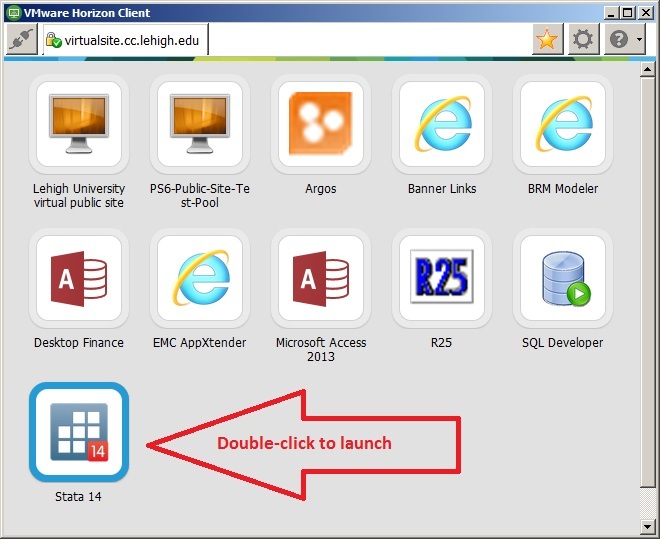 (1) If you did not receive the prompt as shown in the previous step, click the gear icon to open the VMware Horizon Client configuration window. (3) Check boxes for either Share your local files or Allow access to removable storage (or both). (4) If you want to add another or different location, click Add. When working with files, always choose from the local or network locations you added, never "This computer," which refers to the Virtual Site itself. Any data you save to your virtual application folder(s) will be erased after you close out of the application. There is no way to retrieve these files after they have been erased. Always look for the location you added/chose in the previous step when you open or save files.